The night dedicated to the glistening sound rooted in the sonic era of Disco that many still consider to be the heyday of club music is back with Amsterdam’s finest Jonny Nash and Suzanne Kraft. 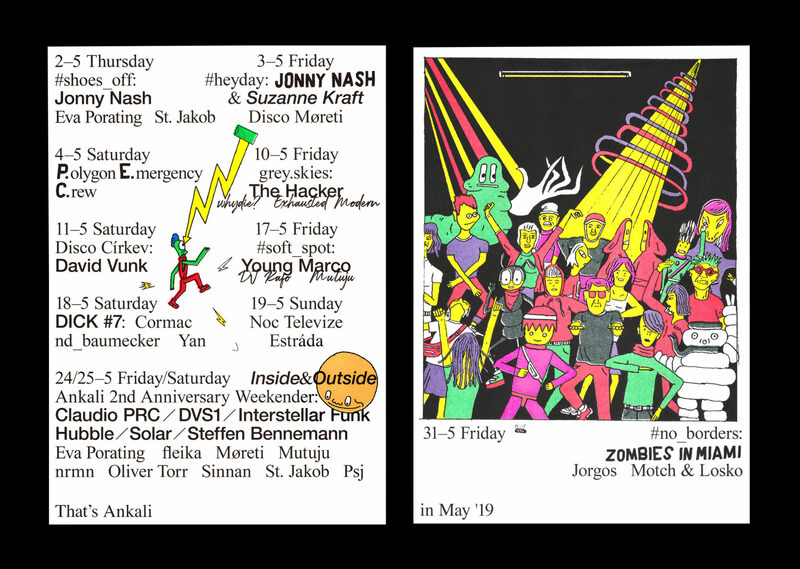 On May 3rd we keep the two-day sort-of-a-residency of the Dutch label Melody As Truth going strong. While the day before you’ll be able to catch Jonny Nash emitting ambient waves, this time around he’s teaming up with his label mate Suzanne Kraft to play and extended back-to-back set till the Sun’s up. Kraft debuted circa 2011 with a string of EPs released on Discothéque, Running Back and Young Adults – and it comes as no surprise that these were the records that make you move your feet. Nash on the other hand has released mostly records that draw from the heritage of classic Ambient by means of obscure musical instruments. We’re psyched to see where this type of synergy will take us [and you] on this particular Friday night. Opening for the two will be our resident Disco Møreti with a no-less adventurous selection, dusting off his mirrorball-ready cuts for this very occasion.